Most American audiences know Sean Bean as Lord Eddard Stark from Game of Thrones. Stark's beheading is widely considered one of the most shocking television deaths ever. Lord Stark was an honorable hero, perhaps too moral for Westeros. But did you know that Sean Bean has a long, storied career of playing completely despicable characters who are often killed for their sins? Here are all 25 Sean Bean character deaths from both film and television. Sean Bean has been a popular British television and film actor for more than 20 years. Apart from Lord Stark and a handful of other roles, he has consistently played the villain. His characters have raped, murdered, cheated, lied, and stolen. Most of the time, the audience is happy to see these Sean Bean character deaths, whether quartered by horses or impaled with a boat anchor. This YouTube video features a bloody montage of all the times Sean Bean has died on fim or in television. Read the article, then check out the clip. Needless to say - MAJOR SPOILERS AHEAD. Death: Caravaggio, a biopic of famed Baroque artist Michelangelo Merisi da Caravaggio, gave Sean Bean his first onscreen death. His character, Ranuccio, has his throat slit after becoming involved in a love triangle. Death: War Requiem has no spoken dialogue. Instead, the story is guided by the lyrics and music of Benjamin Britten's War Requiem, an opera. Bean's character is killed after being shot in the hand and pierced in the body by a bayonet. Death: The Field is about a family of Irish farmers struggling to maintain their land. Bean plays a son intent on helping his father retain possession of the titular field. 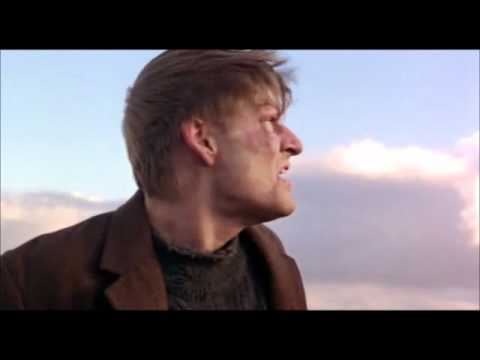 In the end, Tadgh's father goes mad, and runs all his livestock off a cliff into the sea. Tadgh tries to stop this, and is trampled and knocked off a cliff by cows. Death: In this British TV movie set in the 17th century, Lorna Doone is supposed to marry her cousin, Carver, but is in love with another man, John (Clive Owen). Carver is not happy when Lorna escapes to marry John; he shoots her on her wedding day (she survives). Carver is caught and punished - he drowns in a mire.